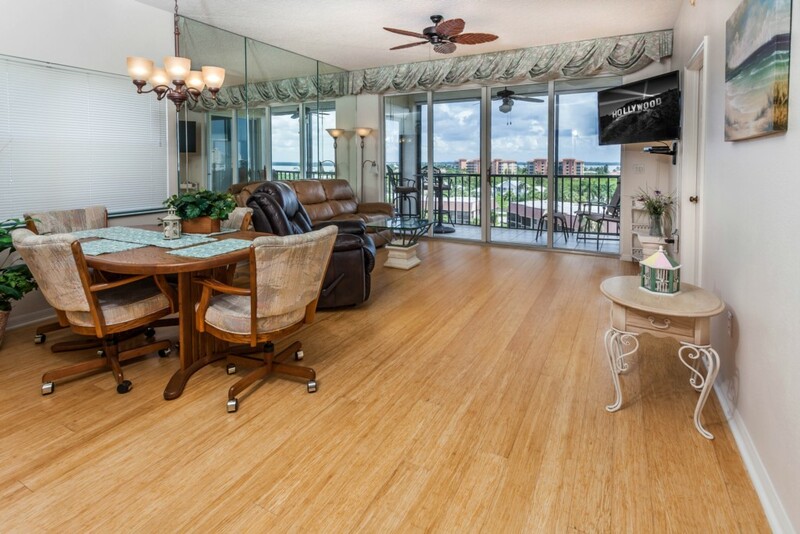 Escape to the beach paradise of Hibiscus Pointe, which offers spectacular views including partial views of the Gulf from your spacious lanai. 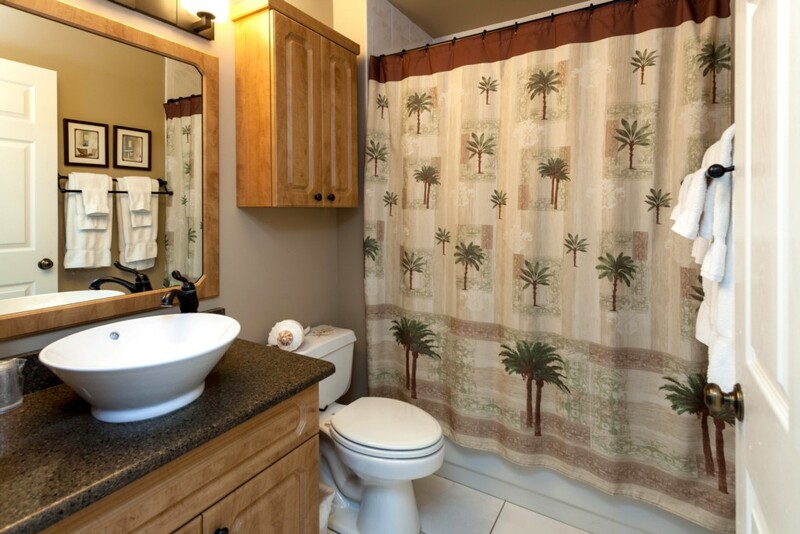 The Hibiscus Pointe condo complex is a beautiful, well maintained property with myriad amenities for your enjoyment. Your residence on the sixth floor is an elegant retreat designed specifically for your comfort and enjoyment. 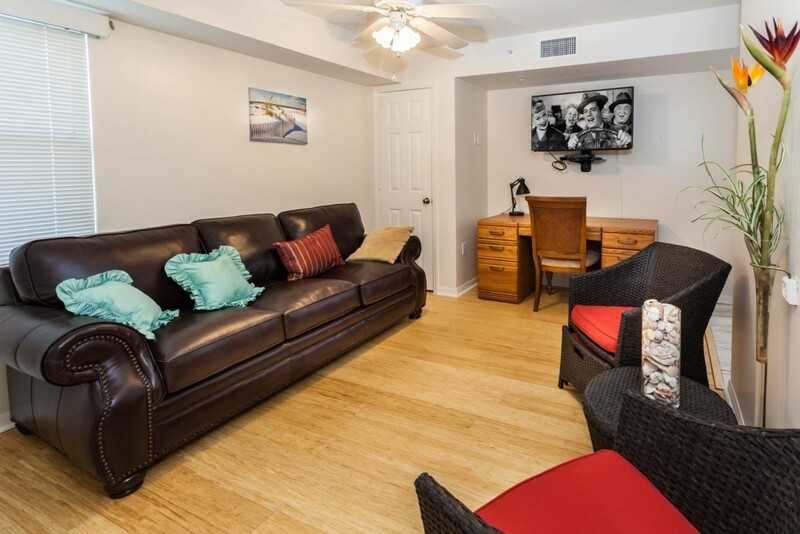 Hibiscus Pointe 461 is a two-bedroom / two-bathroom, air-conditioned condo that sleeps six. 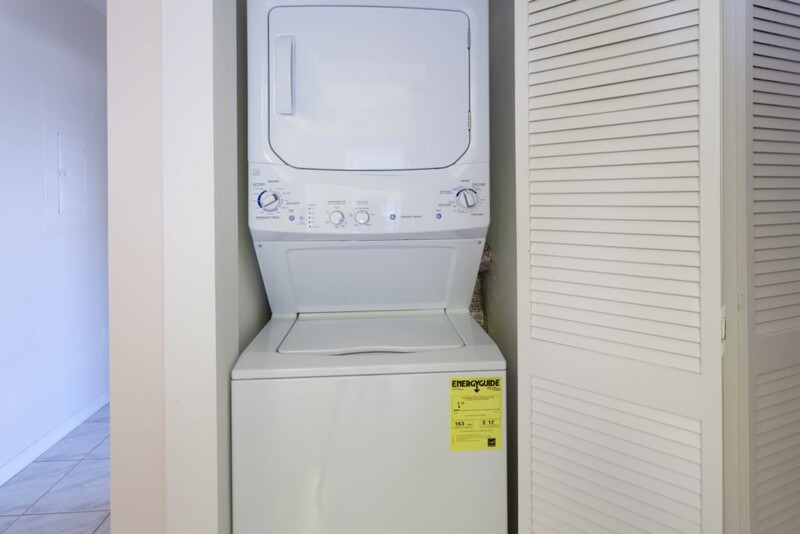 Take the elevator up to your penthouse residence on the top floor and open the door onto a beautiful open-concept living area with handsome hardwood floors, plush furniture and a large flat screen TV with DVD player. There’s also free Internet, which can be a great help in setting tee times, making dinner reservations and sharing photos with friends back home. 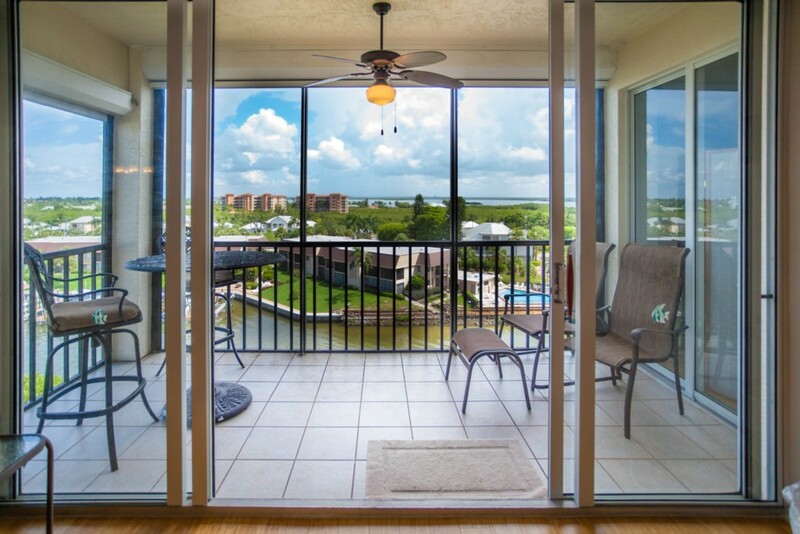 Step through the large sliding glass doors onto your beautiful screened lanai overlooking the canal below that leads out into Ostego Bay and ultimately into the Gulf of Mexico. 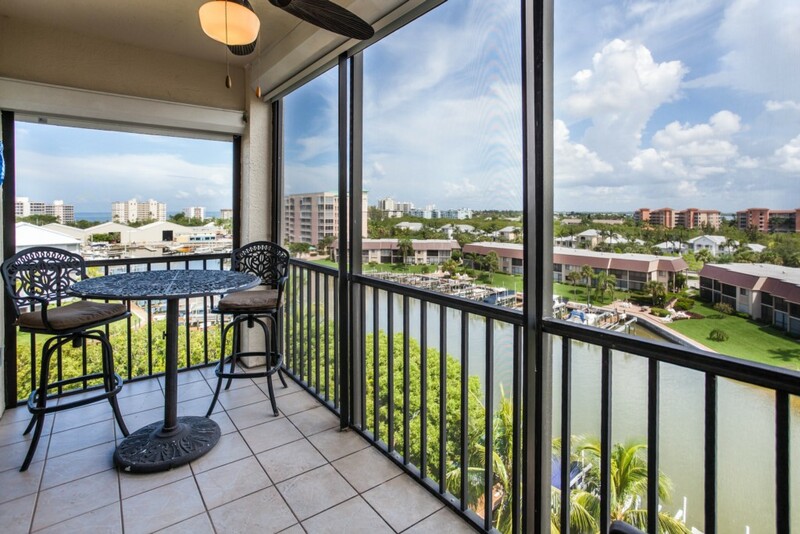 You’ll enjoy drinking your morning coffee on the lanai and watching boats head out to sea. 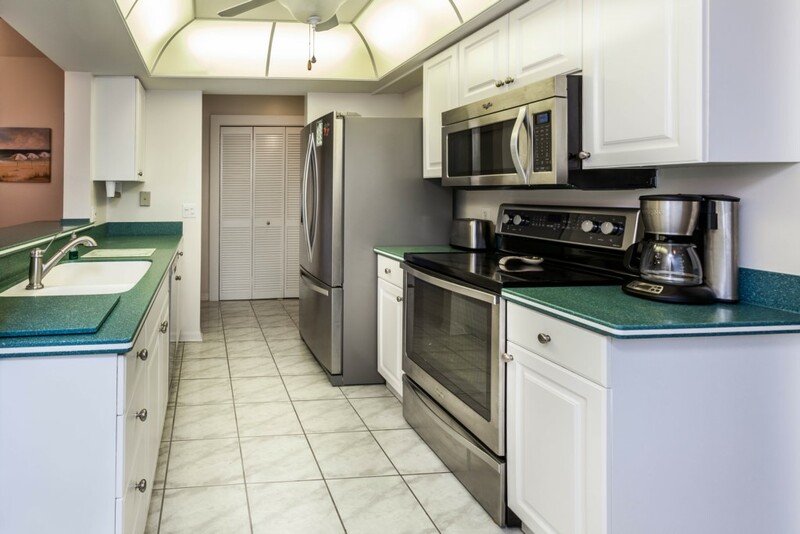 Perhaps you’ll join a fishing expedition from the nearby public marina and bring home a fish to grill on the barbecues you’ll find on the Hibiscus Pointe property. The master bedroom includes a king size bed. 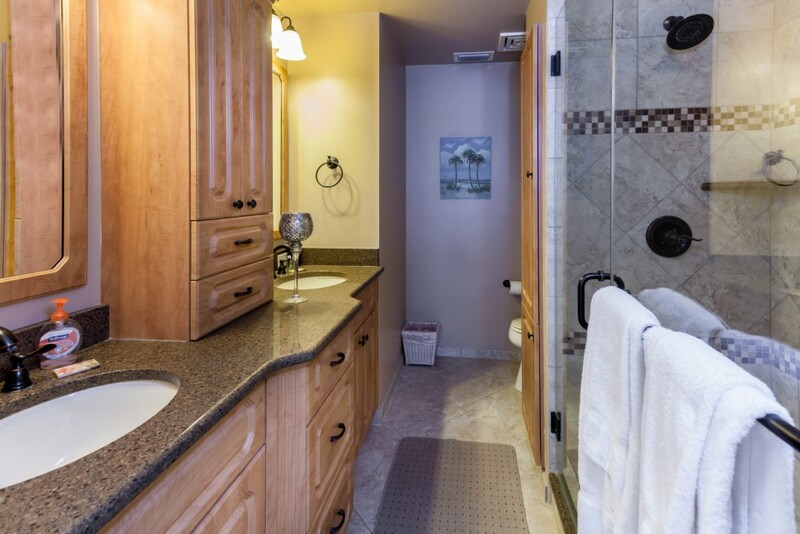 There’s also a flat-screen TV and large walk-in closet to hold your clothes and suitcases. 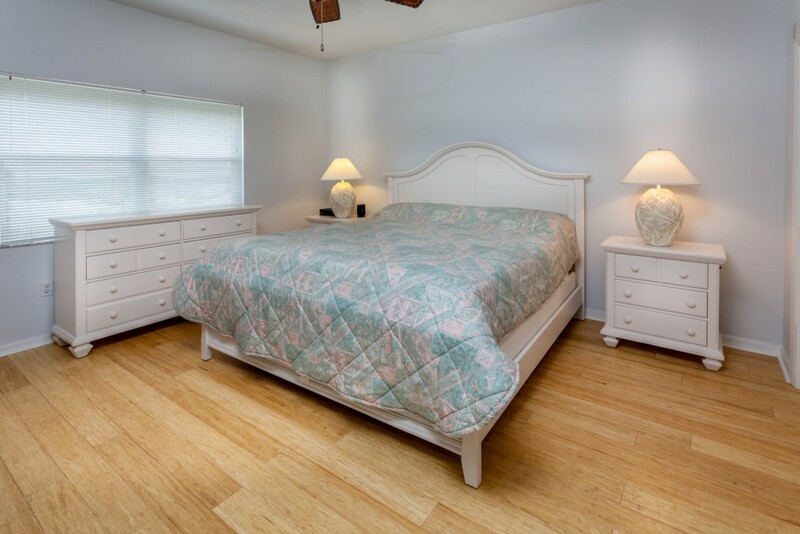 The room has direct access onto the lanai where you can slip out and watch the stars come out over the peaceful scene all around. 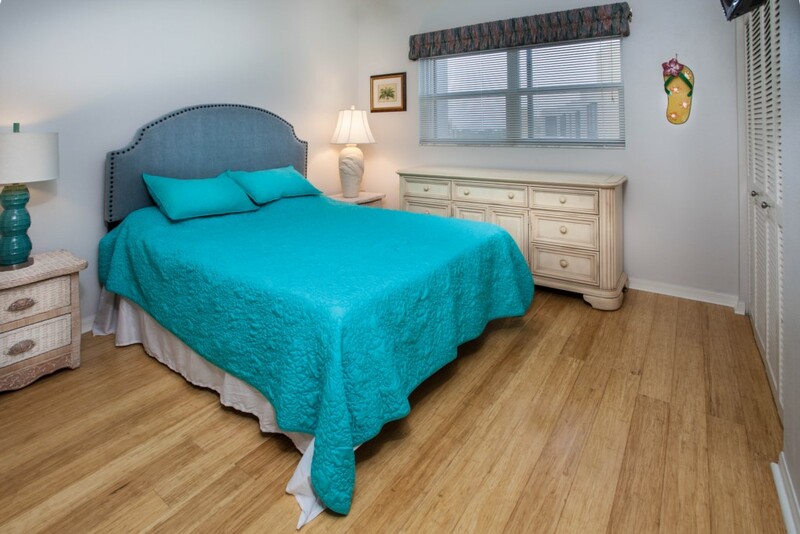 The second bedroom includes a queen bed. This bedroom also has its own flat-screen TV. The den also has a queen sized sleeper sofa bed. 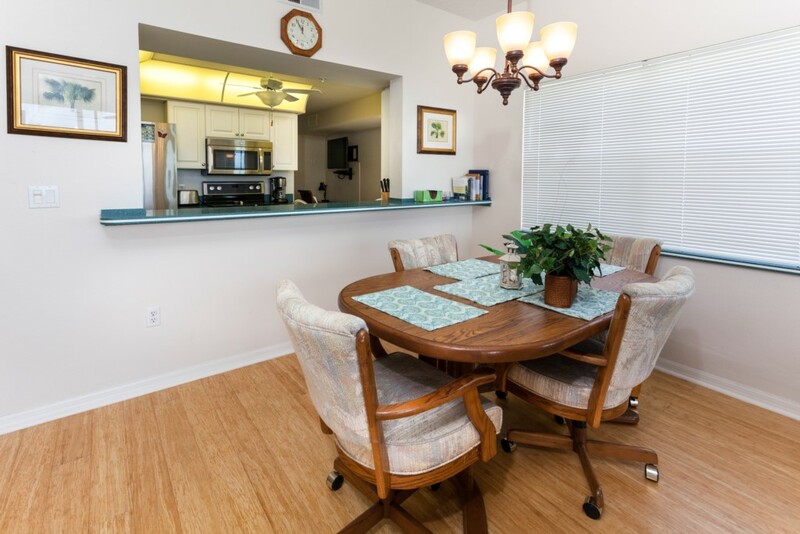 The Hibiscus Pointe complex includes a beautiful heated pool, spa, clubhouse, barbecue area, tennis courts and fishing pier for your enjoyment. 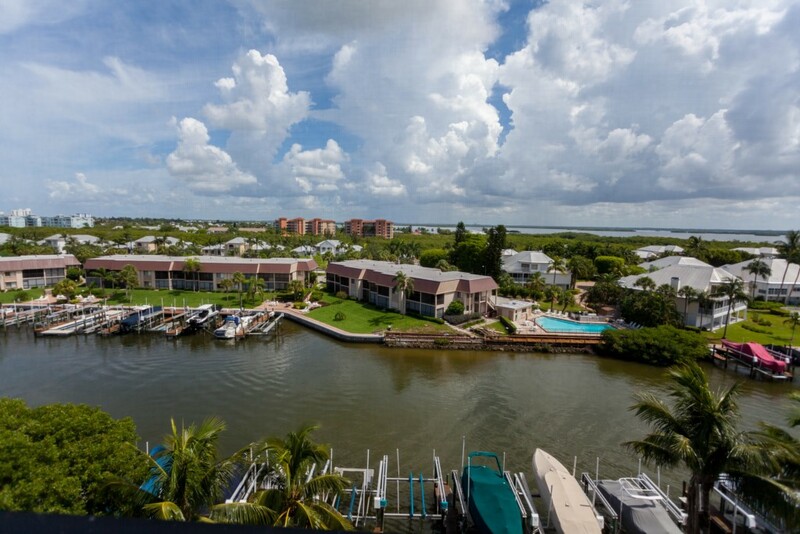 You are also within easy walking distance of shopping, great restaurants and a public marina where you can book a fishing trip. The beach and Lovers Key State Park are just down the road where you can sink your toes in soft, silky Gulf sands.